D.A. Doddridge & Associates, Inc. Since 1987 we have specialized in only restaurant and bar industry matters with 200+ Litigation and 300+ Pre-Litigation and Consulting projects to our credit. Plaintiffs and Defendants-State and Federal courts-Nationwide. We DO NOT charge for Domestic travel. We are a privately held company that develops and delivers crane & rigging training and testing. 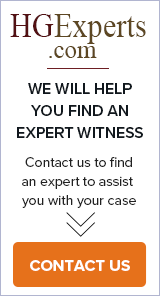 We offer expert witness services & litigation support and independent third party audits. The BRYANT GROUP provides Threat Assessment, Risk Analysis, Contingency Planning, Project Management, Technical Consulting and Industrial Systems Engineering for Homeland Security and Protection of the Nation's Critical Infrastructure. High Environmental Health & Safety Consulting Ltd.